Over 2000 people participated in the March For Science Sydney. 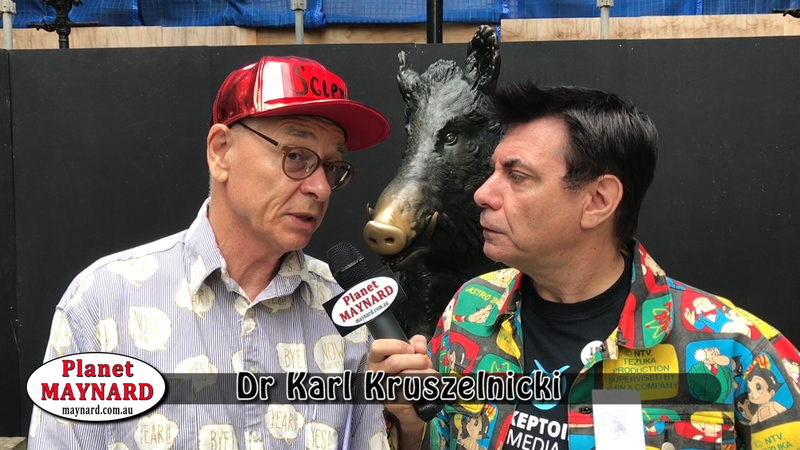 I was there with Dr Karl, Julie McCrossin, Richard Saunders and plenty of fellow travellers in support of Science. Here’s the full video from the day, you might see someone you know. The music podcast that always makes my long weekend better, What Double J Should Sound Like (WDJSSL) had me as guest once again and we offer you an hour of musical satisfaction. There’s Negativeland,The Crass, Public Enemy, ABC, Right Said Fred, Hayseed Dixie, Dario G, B-52s und more.. 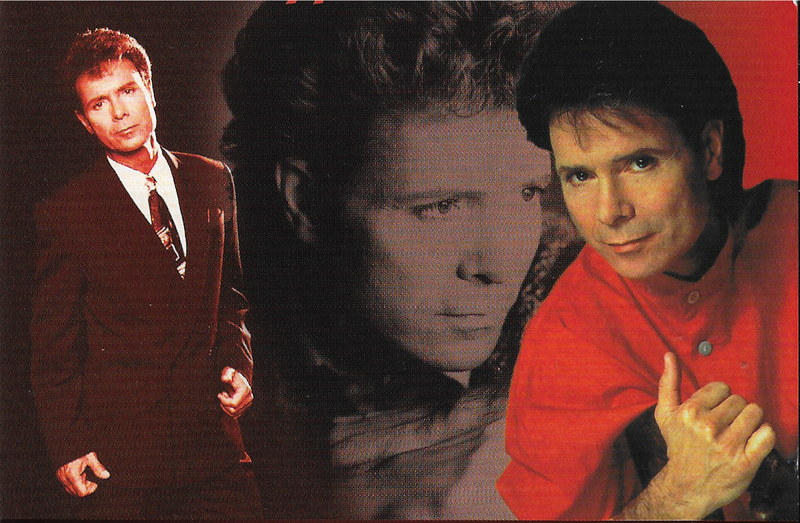 The unedited interview sounds from Maynard and Cliff Richard squashed together in a small hotel room with producer Chris Norris during Cliff Richard’s 1991 Australian tour. Cliff answers questions from listeners honestly about his music, make-up, miming and celibacy. What is his favourite song? Hint: It’s not the same as Maynard’s. Bunga Bunga 34 dives straight into the naughty end of the pool, with Tim Ferguson declaring himself a feminist centrist. Maynard doesn’t know what this means so foolishly asks for his opinion on offensive comedy and stop/walk sign sexual ambiguity. Tension is in the Bunga Bunga air as Tim Ferguson gets snippy about free speech and your mouth. Planet Maynard is up for an award and Tim has written the perfect speech, win or lose. The listeners problems are solved, you find out what’s in Maynard’s Bug Out Bag and we all spot Hilary Clinton in a beer truck. We even have the brief return of the unemployed screen writer of Glebe, while Tim reads a statement on his feelings towards Northcote (again). Planet Maynard, it’s not where you live. 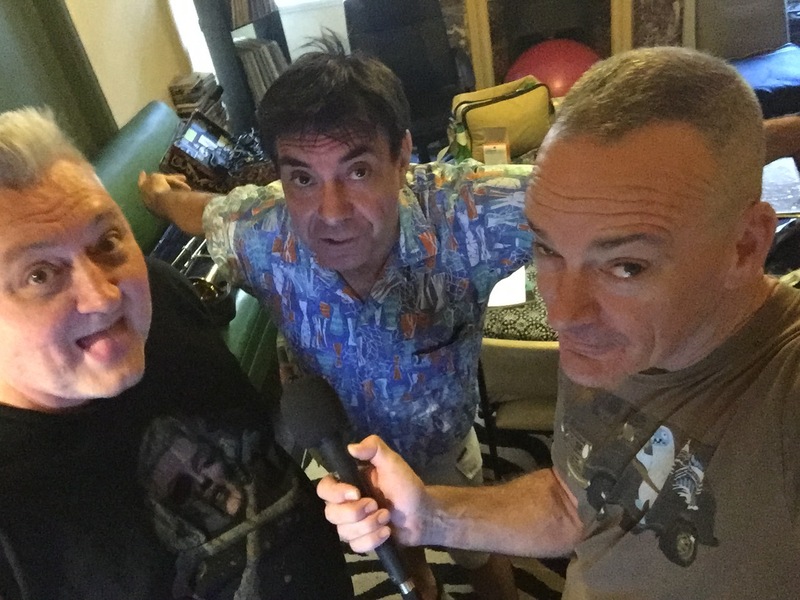 Planet Maynard wins podcast award! 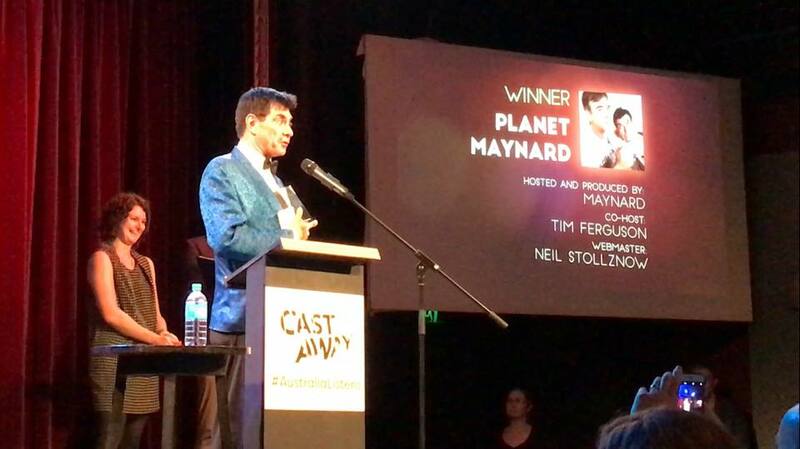 Planet Maynard wins the Cast Away Australian Podcast Award on Saturday night for Comedy & Entertainment, surprising his parents, his neighbour and his agent. Saturday night the “who’s who” of “who’s that?” in the Australian podcasting scene turned out for the inaugural Cast Away Australian Podcast Awards, after welcoming a large group of podcasters on the mini red carpet Maynard thanked the holy trinity in his acceptance speech, Adam Curry, Tim Ferguson & John C Dvorak (the Holy Ghost). The other shortlisted podcasts in the category The Ginni Show & We Facted Up were strong competition as they seem to know what they are doing. I never thought I’d be accepting an award from an ABC employee. ABC management told me my podcasts were “over produced and self indulgent”. Have you heard the 702 Drive show? I’d like to thank the Holy Trinity; Adam Curry, Tim Ferguson and the Holy Ghost, John C Dvorak. The Ginni Show and We Facted Up are both really good shows which makes this award even more surprising. Thanks also to The Skeptic Zone, What Double J Should Sound Like, my Patreon supporters & Byson & Hume for keeping Planet Maynard’s lights on. We all know why we podcast. Bicurious males and chicks dig podcasters. My advice for podcasters everywhere? Two things, never throw away your archives, ever. And always try to enter an Awards show the first year it’s held.